Comedy Of Chicago: Living Large At The Lincoln Lodge ! Living Large At The Lincoln Lodge ! The Lincoln Lodge has really got it going on right now. 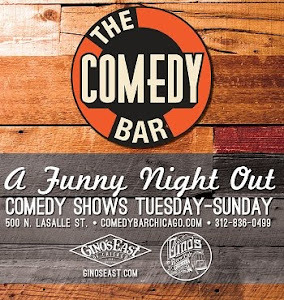 If you haven't been to any of the great shows that they produce, you are missing out on one of the hottest comedy showcases popping off in Chicago. The booking during this Holiday season has been phenomenal. You would not suspect that this unassuming, kitschy, 70s style diner is one of the most successful and longest running comedy showcases in Chicago, but that's exactly the case (due in large part to a top notch production crew that turns the back room of this diner into a hip comedy club night after night). 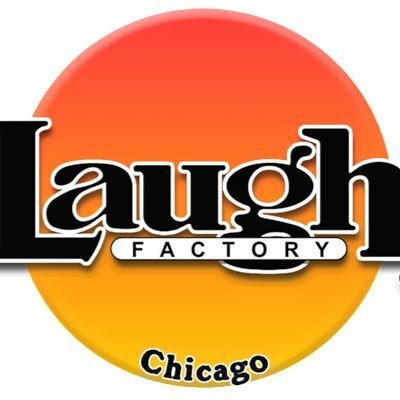 A few weeks ago I went to a special thanksgiving show that had TEN of the top local comics in the Chicago stand up scene performing their assess off. It was pretty much a comedic smorgasbord of the best talent in Chicago, with one comic after another blowing up the stage for a solid hour and a half. A really incredible show, one of my favorites of 2011. The upcoming shows for the rest of December look to be stunning as well. You have Kyle Kinane (Comedy Central, Conan O'Brien) performing on Dec 23rd at 8:30 and 10:30 PM. Also performing is the super hot comedian Hannibal Buress (Saturday Night Live, 30 Rock). Buress, whose current comedy game is tighter then socks on a chicken, is headlining on New Years weekend. But get your tickets now because my understanding is there is only one show left on Dec 29th at 7 PM. Both of these cats are local boys that made good so by all means catch them if you can. If New Years weekend is no good, but you still want to see a hot show at the Lincoln Lodge then go on Dec 16th. That show will feature a super solid line up of Ricky Gonzalez, Julia Solomon, Joe Kwaczala and the gorgeous but deadly headliner Meagan Gailey. Gailey has been on fire lately and is one of the top female comics in Chicago. Bottom line is the Lincoln Lodge is a hot ticket in the Chicago stand up comedy scene, so do yourself a favor and check out a show.